Baidu and Intel subsidiary Mobileye are collaborating to develop road safety protocols for autonomous vehicles in the Chinese market. Baidu announced Tuesday it was adding Mobileye as a technology provider to its Apollo autonomous driving platform. Mobileye joins 115 companies that have signed on Baidu’s Apollo program since it was launched last year. 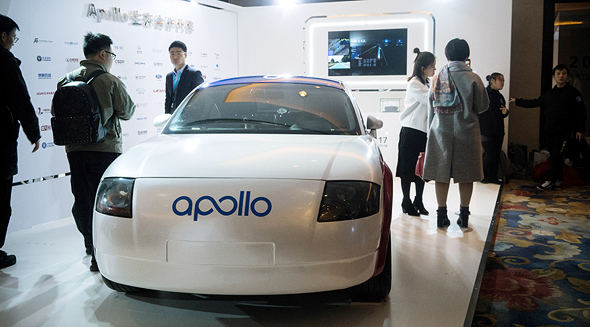 The collaboration means that Mobileye’s Responsibility Sensitive Safety model––a set of rules for how cars show behave in order to minimize the chance of an accident––will be integrated into Apollo after some tweaks to account for specific conditions in China. Baidu also said it would use Mobileye’s autonomous sensing system of cameras, computer vision hardware and software in its offering to China’s automakers. Intel acquired Mobileye for $15.3 billion in 2017 as part of the chipmaker’s push into the emerging self-driving car industry.